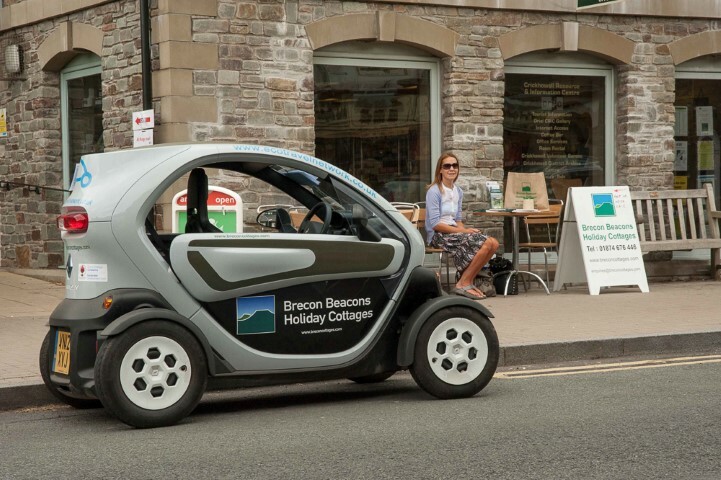 Set in a pastoral scene of hay fields and rolling mountains, I drove our two man electric Renault Twizy called Tomos from the Brecon Beacons to the Black Mountains. Coming to a halt outside the Crickhowell tourist information office where we have our office, the quaint town of Crickhowell was a buzz with activity with a mix of tourists and locals as several events took place. The usual Saturday market was taking place in the market hall which featured traders and craftsmen and women with items sourced from across the world and beautiful wood designs carved by hand among them, a great place to find interesting bag from Morocco, a belt from India or a hand carved garden chair made by a craftsmen passionate about their art. Also taking place was the Taste of Crickhowell at CRiC, the Crickhowell tourist information office where coffee was being served, freshly made bread sampled, locally grown and ground flour was for sale, amazing flavours of artisan chocolate was available to taste and buy and local country walks being advertised all in the name of discovering new places and spaces in Crickhowell. The Oriel Gallery which is on the 1st floor of the TIC was also open after rehanging for their latest exhibition of local artists and attracted several admirers. To my surprise there was even more going on in this not so sleepy village. More local shops have sprung up such as the Black Mountain Gold chocolate shop I never knew existed, and all sorts of hill and mountain walks that I have never been on despite living here for nearly all my life. Andria and I set up a table outside the Crickhowell TIC where we watched admirers of the Twizy peering into the inside space and look surprised when we told them that it only takes 3 hours to charge and is incredibly zippy, especially around the backroads and surprisingly silent, perfect for exploring the Beacons on lazy summer days. Taking it in turns we popped in to the the Vintage Antique & Collectors Fayre in the Clarence Hall, which was amazing. It was like being transported through time. One of the largest buildings at the centre of Crickhowell the Clarence hall which took it's name from the Duke of Clarence who laid the foundation stone in 1890. 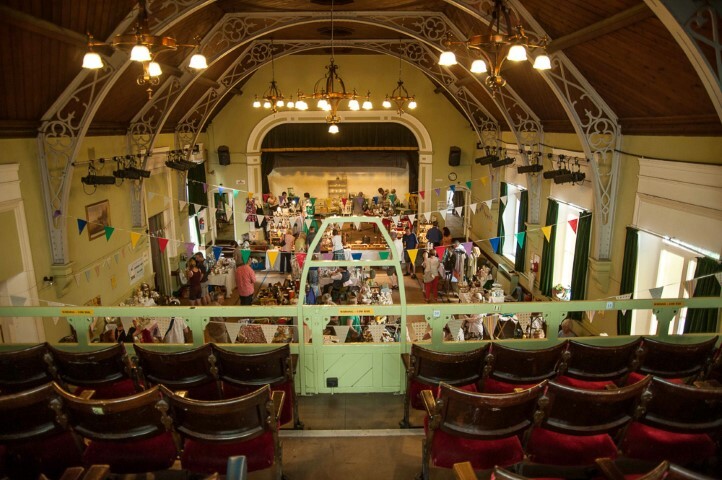 Bunting hung from the ornate cast roof trusses that stretch across a wooden panned ceiling. 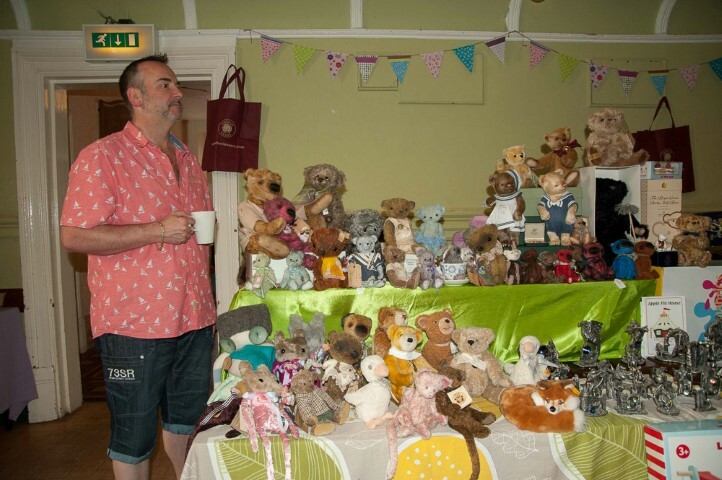 On the ground level there were dozens and dozen of people circulating the vintage and collectable stalls. One stall holder featured victory rolls, emulating the 1940s-50s glamour as dance hall music of the decade crooned out over the speakers above our heads. 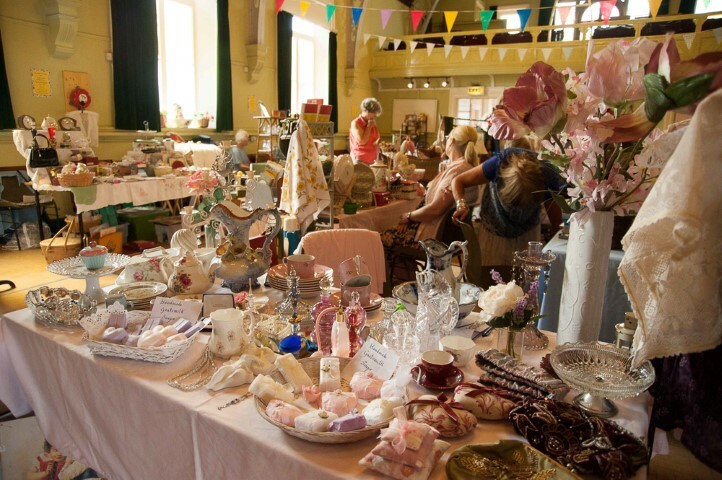 The Vintage Antique & Collectors Fayres are the idea of Jane and Marie Claire who regularly hold fayres in Crickhowell as well as a shop in Hay-On-Wye called the Hay Antique Market and who thoroughly enjoy their job. 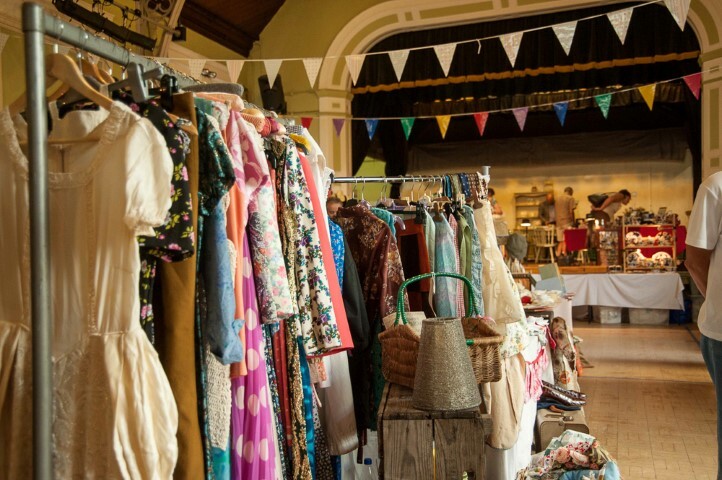 With an entrance fee of just £1, it's really affordable when you consider that inside is a treasure box of vintage and collectable clothes, jewellery, watches, home wares, welsh wool, crockery, teddy bears, toys, dolls AND a tea room! The list goes on and this duo are really good at creating an atmosphere that is happy and full of timeless excitement.